Our goal is to provide professionals with the tools neccessary to finish a job in an efficient manner. We have a team that works around the clock to get everything done in time. Furniture plans are the starting point to any project. These layouts are used through out your project needs. Here at Palmer Collective we take the time to layout furniture not only to make it fit but it is going to work at installation. We will review your layout during the design processes and give you additional ideas if help is what you need. We can add general and speciality notes not only to the furniture plan but through the ID sheets. We can tailor your furniture layout to fit your presentation needs. Large professional sheets sizes to small draw downs to fit neat and tighty in your spec books. 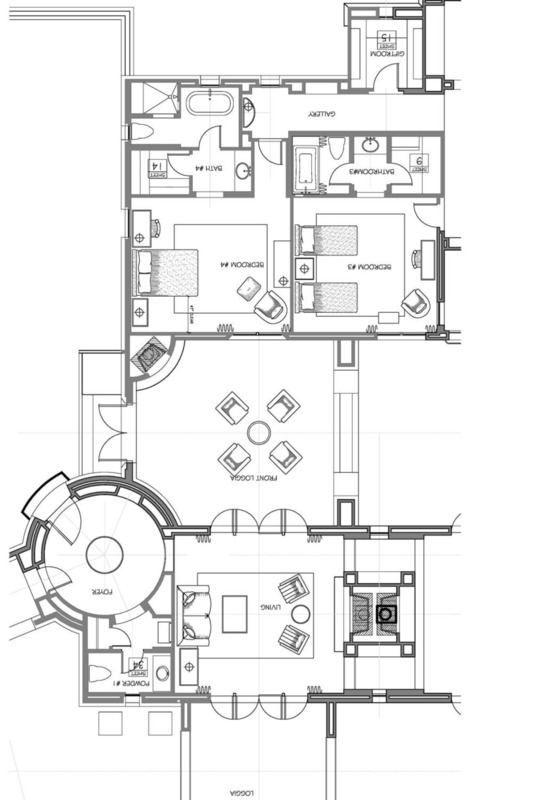 Our interior elevations give us the opportunity to help you create a more accurate budget. We are also able to find and fix problems that could arise during construction before they even happen. This reduces your overall cost in construction because you aren't having to move walls after they have been framed, etc. We work with contractors, designers, and customers showing 3D design work that helps anyone get a more accurate picture of the finished product. Here at Palmer Collective we are very proud of not only our CAD work, but also our 3D-Renderings. Our team has produced a virtual spa for Spa Finder Magazine and images for the Kohler company. We can provide you, the designer, with tools to improve your client presentations. There are a variety of options available including 3-D renderings, digital spec books and excel templates for your own specs. We like stepping up our projects with our lighting packages. Lighting allows you to set different moods for different events you are hosting. By including the lighting of your project in your plans, we are able to use the drawings to ensure your light fixtures are purchased at the right sizes to fit them perfectly to their rooms. Pre-planning your lighting allows for quicker installation processes. Not only do custom floors add an extra element to your space, but by planning the designs beforethe purchasing and laying of tile, wood, or stone, you are able know what pieces you need and where they are going to fit. This process makes the flooring process go smoother and ensures that your fixtures and furniture fits just right to showcase your beautiful floors. You want your building to create a great impression beginning with curb appeal. We can provide design options that not only reflect the great quality of the interior of the building but which also fit in and enhance the surrounding area/neighborhood. We are fortunate to have two staff members with degrees in environment design who will work with your team to create the exterior impression which fits your needs.